In Louisville, at the corner of Fourth and Walnut, in the center of the shopping district, I was suddenly overwhelmed with the realization that I loved all those people, that they were mine and I theirs, that we could not be alien to one another even though we were total strangers. It was like waking from a dream of separateness… This sense of liberation from an illusory difference was such a relief and such a joy to me that I almost laughed out loud. And I suppose my happiness could have taken form in the words: “Thank God, thank God that I am like other men, that I am only a man among others.” …They are not “they” but my own self. There are no strangers! Then it was as if I suddenly saw the secret beauty of their hearts, the depths of their hearts where neither sin nor desire nor self-knowledge can reach, the core of their reality, the person that each one is in God’s eyes. If only they could all see themselves as they really are. If only we could see each other that way all the time. There would be no more war, no more hatred, no more cruelty, no more greed…I suppose the big problem would be that we would fall down and worship each other. In other words, his heart broke open and what poured out was Love. There were no separation between himself and The Other. They were all one and it was the closest he had come to experiencing the face of God. As many of you know through previous blogs (Remember “Working Out My Heart”? ), I tend to keep my heart under lock and key. I am not prone to Merton-esque revelations. My conscious mind is a far safer vantage point from which to view life’s experiences, so when Tim invited me to go see the newly-released Fruitvale Station last night, I thought that was the perspective from which I would see it: my logical mind, my heart under wraps. It was about a subject with which I have no experience and only vaguely remembered from the papers a few years back. I thought it would be a perfect film for my head to be educated while my heart remained safe. I was wrong. Fruitvale Station broke my heart open. It found the key and threw the doors open wide. What poured out was not guilt, or shame, or anger. What poured out was Love and so I had to remain in the darkened movie theater long after the movie ended, the credits rolled and the lights came up. I had to remain until I could walk out and not fall down and worship someone. I don’t write movie reviews and I won’t try to describe how, or why it affected me so deeply. It would sound foolish and give you all sorts of unreasonable expectations about the film, but I will ask you to go. Go for your mind; go for your heart. Learn what happened to Oscar Grant III, a young man with a good heart and a bad temper, that fateful New Year’s Day, 2009. In my writing classes, my students’ first assignment is a personal narrative. They often roll their eyes, thinking of it as juvenile work, something they did in 3rd grade, but this is what I tell them. You can’t write what you don’t know well and what most of us know well is our own lives. But more importantly, I tell them, is this: we are a storytelling people. From the beginning of time, it is how we, as human beings, have made sense of our lives and our world. We may tell other people our stories, but the stories we tell ourselves are the ones that really matter. They are the ones that tend to separate us, that make us right and others wrong, that prop up our prejudices and beliefs and reinforce our own worldview. When exposed to a new set of circumstances, or facts, we can either reject them outright, or adapt the stories we tell ourselves to account for the new information. The only way our stories change is through experience and since we can’t experience everything, we have to rely on other people to help us along. Telling a story, I remind my students, is a privilege, because it is an opportunity to change how someone else tells their own. A good story changes the protagonist, but a great one changes everyone. Help me along, I ask them. Tell me something that matters. Fruitvale Station does just that. It gets an A in my book. 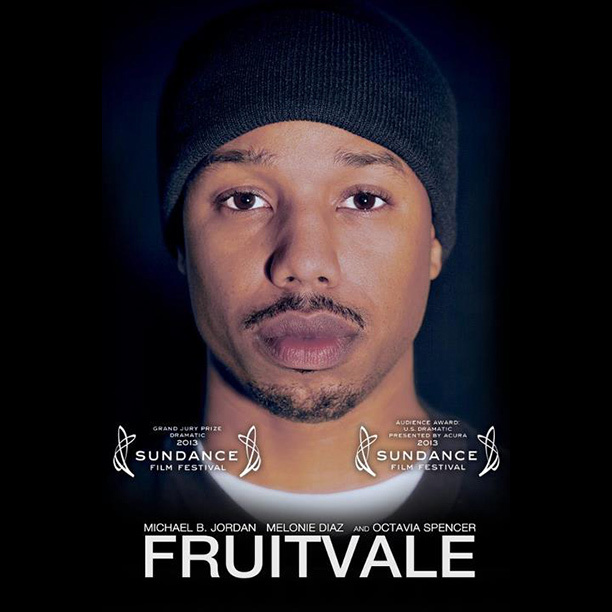 Posted in Movies, Self-awareness and tagged as Fruitvale, Fruitvale Station, God, Jordan, love, Merton, Michael, Michael B. Jordan, new releases, Oscar Grant, Station, Thomas.